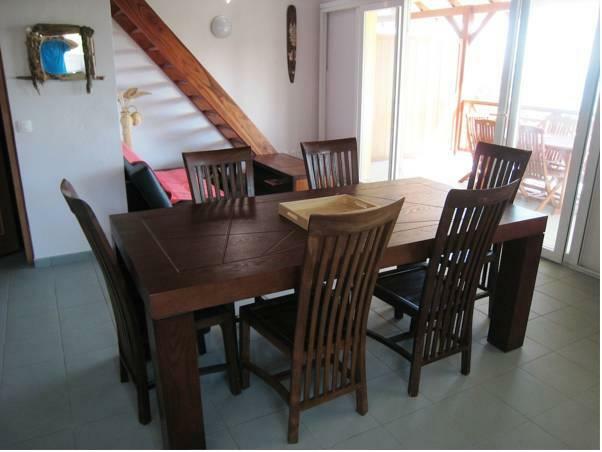 ﻿ Best Price on Coco D'Iles in Terre-de-Haut + Reviews! Set on the hills of Les Saintes Island and 1804 feet from Grande-Anse Beach, Coco D’Iles features stunning Caribbean Sea views form the furnished terrace and free Wi-Fi throughout. This 3-bedroom house offers basic décor, air conditioning, living area and a kitchen with stove, kitchenware, microwave and fridge. An iPad is available, upon request, at no extra cost. Guests at Coco D’Iles can find a variety of restaurants, shops and convenience stores at Grand-Anse. This house is 0.9 mi from Petite-Anse village and 3 minutes’ drive from Le Mapou, the ancient port at Les Saintes Island. A deposit via PayPal is required to secure your reservation. Coco D'Iles will contact you with instructions after booking. Please inform Coco D'Iles of your expected arrival time in advance. You can use the Special Requests box when booking, or contact the property directly using the contact details in your confirmation. Payment before arrival by bank transfer is required. The property will contact you after you book to provide instructions. A damage deposit of EUR 500 is required on arrival. You should be reimbursed on check-out. Guests are required to show a photo ID and credit card upon check-in. Please note that all Special Requests are subject to availability and additional charges may apply.